This research was supported by the Swedish International Development Cooperation Agency (Sida), International Science Programme (ISP) in Mathematical Sciences (IPMS), Sida Bilateral Research Program (Makerere University and University of Dar-es-Salaam). We are also grateful to the research environment Mathematics and Applied Mathematics (MAM), Division of Applied Mathematics, Mälardålen University for providing an excellent and inspiring environment for research education and research. 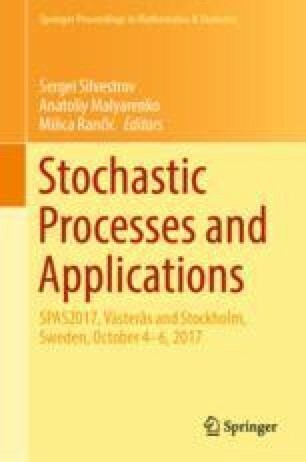 The authors are grateful to Dmitrii Silvestrov for useful comments and discussions.